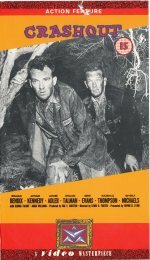 This tough crime drama follows six escaped convicts as they spend three days holed up in a cave before going after buried loot. The usual fallouts and double crosses steadily reduce their number, but telling characterisations and clever plot developments maintain the interest. The strong cast of character actors includes William Bendix as the sadistic leader and Arthur Kennedy as an embittered thief, while Gloria Talbott registers sharply as a woman passenger on a train. All credit to the usually undistinguished director and co-writer, Lewis R Foster, who has the benefit of some terrific black-and-white photography by Russell Metty.